A public house, informally known as a ‘Pub,’ or ‘Local,’ is a drinking establishment which is part of everyday Irish culture, and which is licensed to serve alcoholic drinks mainly for consumption on the premises. Irish pubs in particular are known for their atmosphere or “Craic,” however as the years progress, the true Irish traditional pub theme often extends only to the name over the door and false imported decor, while their atmospheres are much more akin to American and European bars, than they are to the real true traditional Irish pub. The pub “Snug,” typically a small, private room with access to the bar counter via a small hatch, that had heavy frosted glass external windows, set above head height, has also almost vanished from the traditional Irish pub scene, having been replaced by the larger roomy Lounge bar . It was in this “Snug,” mostly used by the well off visitor or local, a higher price would usually be charged for drinks consumed. Ladies also would often enjoy a private drink in the Snug, in a time when it was frowned upon for ladies to be seen in a pub, otherwise “A pint of porter for me and a small sherry for the woman outside in the pony and trap,” was the regular order shouted to the pubs landlord, by his male customer and ladies remained outside. The Snug would also be used by the local Policeman, nipping in for a quiet pint, the Parish Priest / Minister, Magistrate or indeed the local Landlord at the Manor house, for their unseen evening whisky, and of course lovers would also use the Snug, to keep out of public view for that often secret rendezvous. 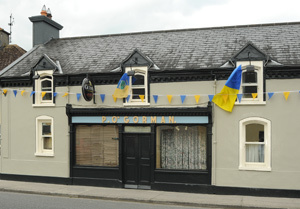 Irish pubs in Tipperary continue to be social meeting places, entertaining “Muintir na haíte.” (Translated from the Irish “The people of the place,” or “The immediate localised population.”) There is generally a very close and mutual understanding and an informality between the customer and staff. The Dublin Bar close to Thurles Railway Station Friar Street Thurles Tipperary. 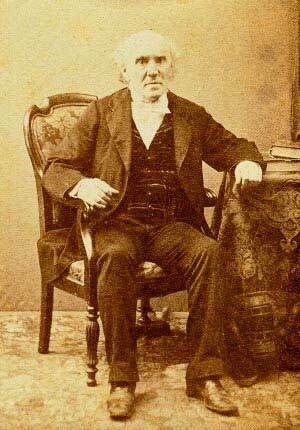 In many such houses, particularly in country pubs, virtually all of the regular customers will know each other very well. Irish pubs are known worldwide for their distinct hospitality, to the extent that there is scarcely a city in Europe or North America that does not boast of having at least one such establishment. These Irish pubs offer English speaking tourists a familiar atmosphere in which they can relax and take refuge to enjoy themselves. 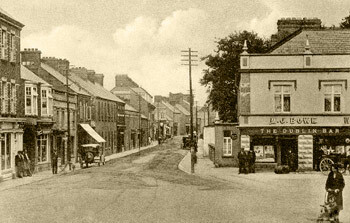 Until the arrival of the supermarket and similar grocery chain stores beginning in the 1960’s, Irish pubs usually operated as a ‘Pub and Grocery‘, combining the sale of alcohol with the sales of tea, bread, sugar, salted bacon, together with hardware or other ancillary businesses such as funeral undertaking, and to some extent this rather unusual combination of trade is still common today in Ireland. Tourists, particularly people travelling from abroad, are quickly accepted with an inquisitive Irish friendliness in Tipperary pubs, and very often they will have a drink offered to them.